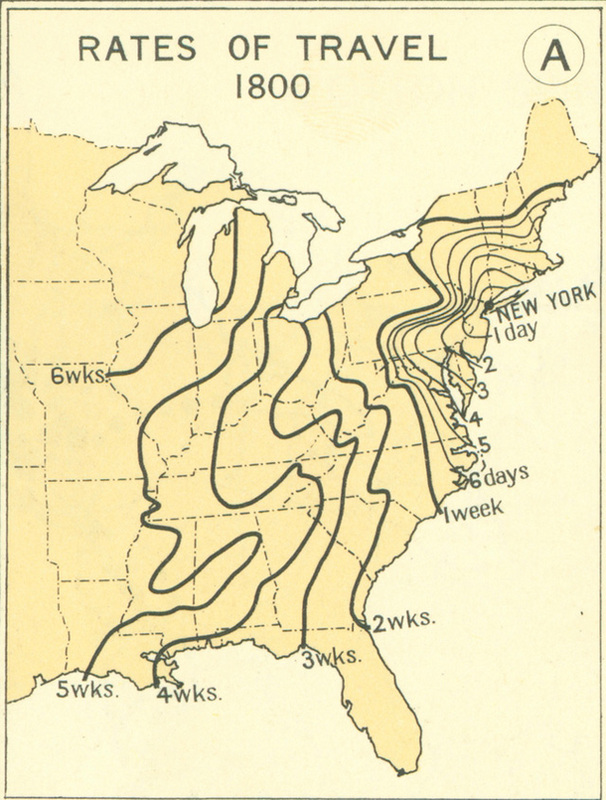 This map from the Atlas of the Historical Geography of the United States (1932) shows how long it took to travel across the United States in 1800, with a starting point in New York City. For example, New York City to New Orleans took about four weeks. 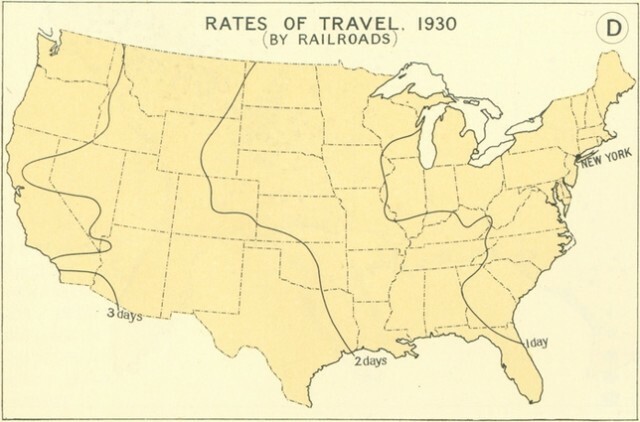 By comparison, the map below shows rates of travel in 1930, when railroads allowed travelers to cross the country in about 4 days. For more maps, check out Mother Nature Network.